If you’ve been unable to keep up with your mortgage payments, it might seem like your only option is foreclosure. There is, however, another option. 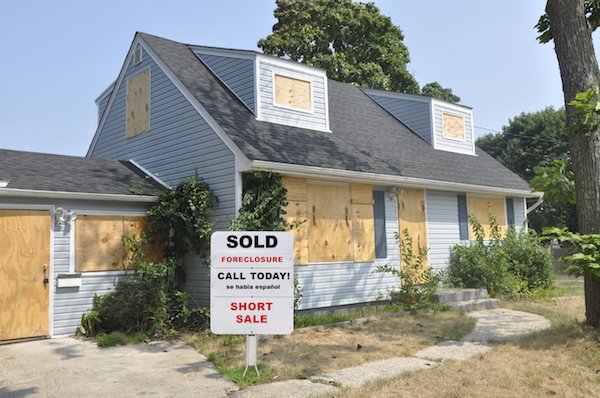 You may be able to do a short sale on your home before foreclosure. Here are the advantages and disadvantages to consider before deciding on a short sale. A short sale is when a property is sold at a price lower than the amount the homeowner owes on the mortgage, and the mortgage lender agrees to the “short” payoff. Banks and lenders have specific rules on which properties qualify for a short sale. If you decide on attempting a short sale in lieu of a foreclosure, call your lender. You will need official approval, as the lender is agreeing to a discounted payoff. Keep in mind that a short sale, like a foreclosure, is a serious financial and credit reporting situation. A real estate attorney and tax accountant may advise which path is better to follow. In addition, your accountant should advise you of any possible income that may be taxable from a short sale. -Your loan will be considered paid in full. -A short sale has a smaller impact on your credit. -After a short sale, you may be able to buy another home sooner than you would with a foreclosure. -You take full responsibility for the sale of your home, which can be time-consuming. -If you find a buyer quickly, you may have to move sooner than expected. -All proceeds from the short sale go to the lender. A foreclosure puts a serious black mark on your credit history that will last for seven years and hamper your ability to get loans and credit in the future. There is also a time limit after a foreclosure in which you will not be allowed to buy another home. A short sale doesn’t have the same impact as a foreclosure, but your credit will still be damaged and you may struggle to find a lender that is willing to give you another mortgage soon after a short sale. If you’re unsure whether a short sale is right for you, speak to a real estate attorney. A real estate attorney can review your situation and help guide you to the best solution. You can also speak to your lender. Your lender has specialized loan officers who are able to review and guide consumers at risk of foreclosure.